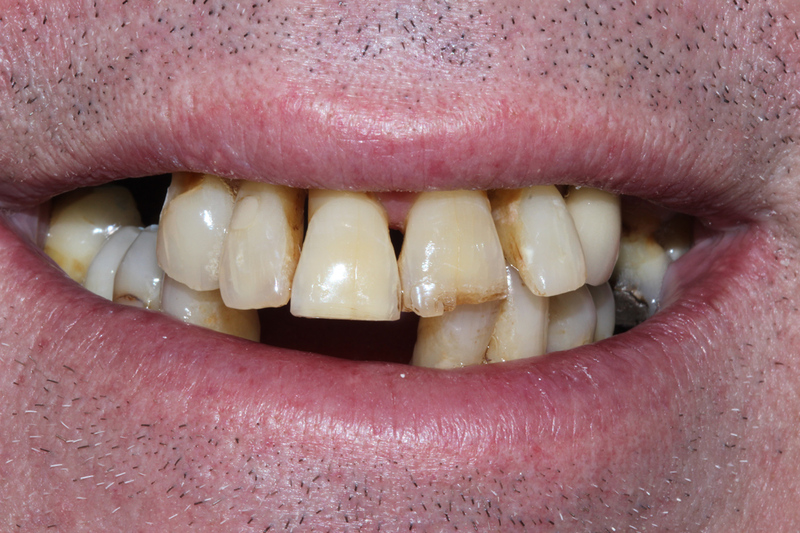 Mark had discoloured loose front teeth which were causing him a lot of problems with self confidence. 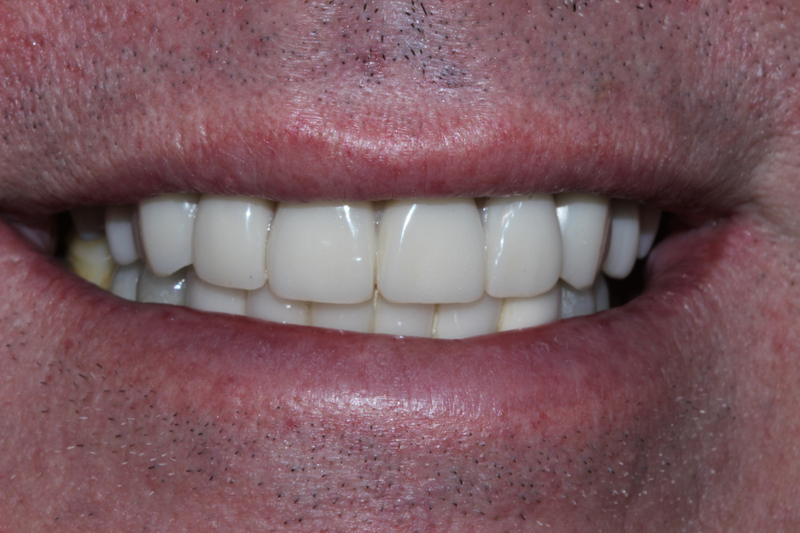 bridge and a fixed implant retained bridge for the upper arch. As you can see, he can’t stop smiling!